Author JK Rowling has won a court battle against a US writer who claimed she had stolen ideas for her successful Harry Potter books. Pennsylvania-based writer Nancy Stouffer claimed Rowling had lifted ideas from her own book The Legend of Rah and the Muggles and wanted to be recognised as Harry Potter's creator. But a court in New York threw out the claim for plagiarism against Rowling, US publisher Scholastic and film producers Warner Bros, ruling Ms Stouffer had lied and altered documents to support her case. Ms Stouffer accused Rowling of lifting the term Muggles, a name given to non-magical humans in Harry Potter but used to describe mythical characters in her book which was published in the mid-80s. In Stouffer's The Legend of Rah and the Muggles, which features a character named Larry Potter, the muggles are little people who care for two orphaned boys who magically turn their dark homeland into a happy place. She also claimed to have written a colouring book entitled Larry Potter and His Best Friend Lilly. But a summary judgement by the District Court of the Southern District of New York ruled that Ms Stouffer lied to the court and doctored evidence to support her claims. She was fined $30,000 (£19,363) for this "pattern of intentional bad faith conduct" and ordered her to pay a percentage of the defendant's costs. The summary read: "Publication, distribution and exploitation of the Harry Potter books does not violate any of Stouffer's intellectual property rights." Rowling's agent Christopher Little said: "Ms Rowling is thrilled to have been vindicated so clearly." Barbara Marcus, president of Scholastic Books, added: "We never had any doubt that Harry Potter and his world came from the rich and extraordinary imagination of JK Rowling." Harry Potter fans are eagerly awaiting the publication of the fifth instalment of the wizarding tales, but no date has been announced for the delayed book as Rowling has yet to deliver a final draft. 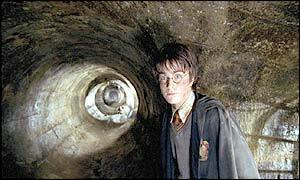 The second film, Harry Potter and the Chamber of Secrets is due for release in November, with teaser trailers already hitting cinemas.